I saved the stick of cedar I ruined making my first paddle. The grain orientation was all wrong but I just loved the color of this piece so I decided to use it to make my first storm paddle. With the help of the power planer, I made this paddle in aprox. 2 hours. 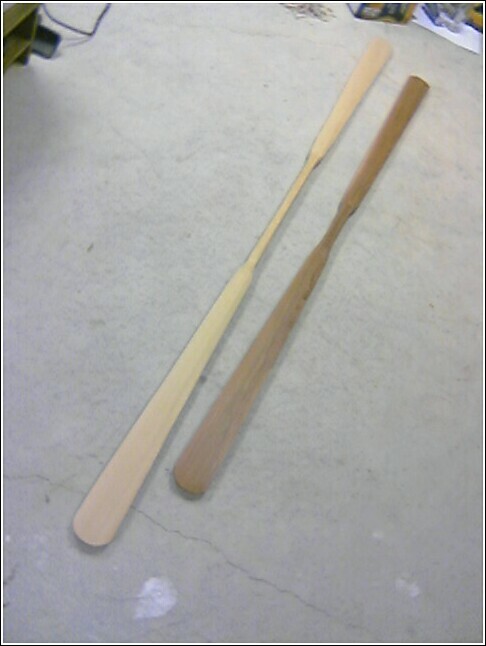 I am looking forward to some constructive critisism of theses paddles by someone who really knows them. I would like someone who has used greenland paddles for years to hold mine and tell me how I can make them even better. When is spring going to get here?!? !